Sonic Sports Association organize triathlon training in Hong Kong three days a week for both age-group and junior members. 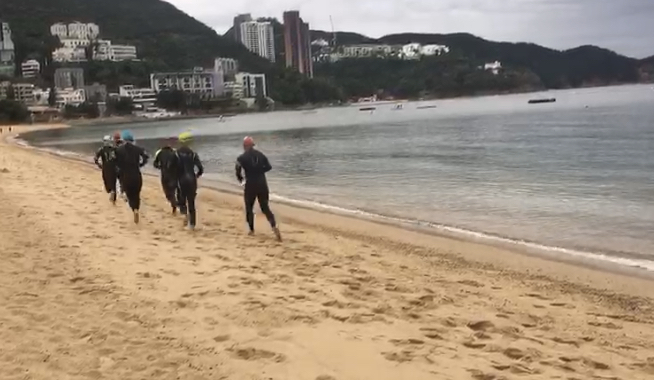 We have swim/bike/run brick training at Shek O beach every Sunday morning during non-TriHK race days; Regular run training at Happy Valley Running track every Monday evening and swim training at Wan Chai Training Pool every Wednesday evening. Venue and schedule may vary according to upcoming race preparation or other issue. New member entitle 1 week free trial to our training session. We organize Adult Triathlon Training all year round for age-grouper who wish to race from Sprint to Half-ironman distance triathlon. 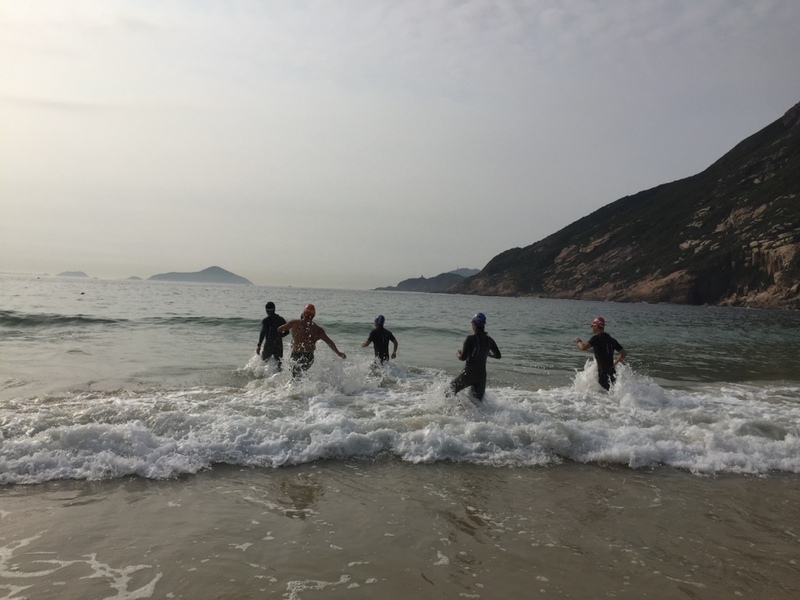 We train every Sunday in Shek O/Repulse Bay beach to go through all elements swim, bike, run. Beginner brick session is skilled based bike and run set, aim for members who just start cycling and would like to complete triathlon race. Make up class will be arranged if there is a Tri-HK race on Sunday. Wednesday 8pm-10pm at Wan Chai (WC) Swimming Pool, Harbour Road. 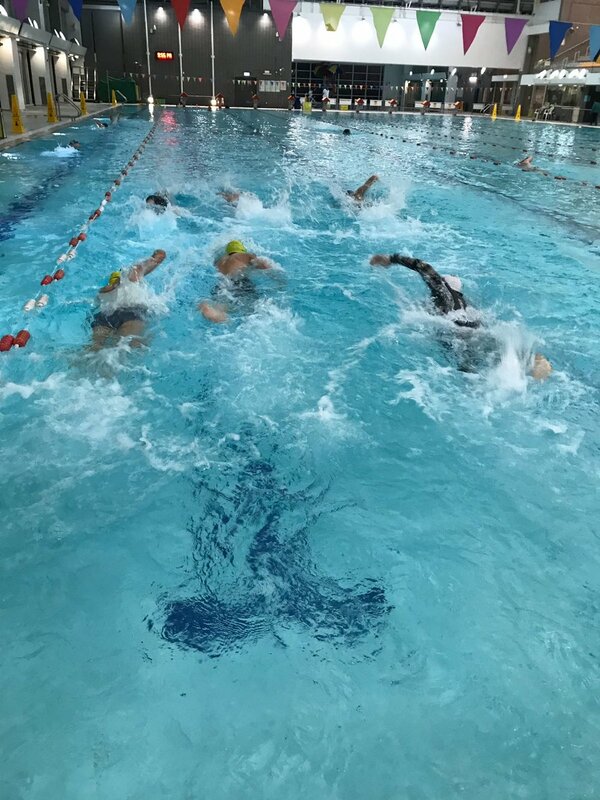 We train on every Wednesday evening at Wan Chai Swimming Pool and Saturday at SYS pool where is all-year round in-door swimming pool for club training only. It's heated pool during the winter time. This session is the combination for beginners and advanced triathletes. It will be more skill-based for beginners and endurance swim set for advanced. We usually do warm up and drill in the first hour then main set in the second hour. The training fee covers coaching, pool entry with two dedicated swim lanes. We train on every Monday evening at Happy Valley Running Track. We meet outside of the changing room, the session normally start with a warm up and drill, the main set normally cover 10-14k tempo or interval sets within 2hours. Beginner run session target for members who start just start running and aiming to complete 5k, 10k or 21k race. With the success of IRONMAN 70.3 Shanghai, We offer personal training plan within Sonic. The training plan is the month by month structural training program to help your preparation towards the key race in the holistic approach. It will be tailored on top of the existing Sonic regular training session, a small extra fee will be applied to top up the monthly training plan that included analysis, review and consultation. What is training plan all about? A good training plan will help you to setup the training schedule around your daily life, progressively build up the endurance and intensity towards the target race. We will share the training calendar, monitor your progress, review it regularly and adjust according to the need. You will also be advised and insert some small goals alongside the training sessions. All in all it’s the communication between the coach and members to drive the success. What is training plan cover? What if I am not training for any IRONMAN 70.3? Will I be neglected? We will maintain the same level of attention to all members during our regular sessions. And the training fee remains the same. The training plan means to provide guidance and advise to members for race preparation in more holistic and structural approach. I want to join the training plan, how should I sign up? We will be using TrainingPeaks as the platform to deploy training plan to your calendar. You can first of all register a basic athlete account on TrainingPeaks.com which is free. Login to your TrainingPeaks desktop URL and go to setting, add the email address of the coach from Coach section. Once the coach accept your request, please fill in and send us the questionnaire to capture your information and understanding your goal. The communication will kick off and the coach will start deploying the training session to your TrainingPeaks calendar. You can setup your TrainingPeaks and Garmin sync, then once you sync your training, the data will instantly available on TrainingPeaks for the coach as well. What if I want to stop the plan? Please inform your coach and you can disconnect the coach from TrainingPeaks, two ways communication is the most important element in personal training. It’s really depends, a well trained Team Sonic could prepare for a race in 4 months, while some prefer 6 months for better conditioning. Some of us also keep following the plan in maintenance mode. What is the fee if I want to join the training plan? Plan A cover all coached session. Plan B including two coached session if your schedule couldn’t match with our sessions while having a flexibility to follow the plan and allowing us to monitor your form in person. It could also be additional $500 on top of the existing monthly training fee structure. Tailored Training Plan for Triathlon, IRONMAN 70.3, IRONMAN and marathon. Plan A $1500/month include access to all Sonic Regular sessions. All Sonic sessions cover coaching, pool entry fee and dedicated swim lane.